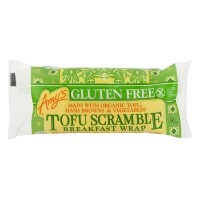 5.5 oz pkg Amy's® Gluten Free Breakfast Wrap Tofu Scramble. Gluten free tortilla. 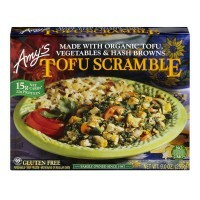 Made ..
9 oz box Amy's® Tofu Scramble. Family owned since 1987. 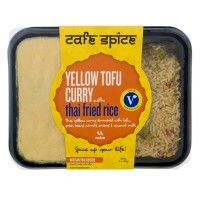 Made with organic tofu, vegetab..
16 oz pkg Cafe Spice® Yellow Tofu Curry with Thai Fried Rice. Vegan. 100% Plant based. 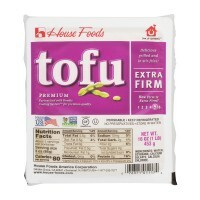 Thai..
16 oz pkg House Foods Tofu Extra Firm. Cook up happiness™. 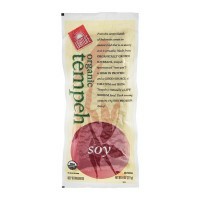 Delicious grilled and in sti..
8 oz pkg Lightlife Organic Tempeh Soy. 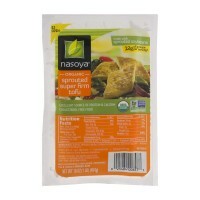 From the sunny islands of Indonesia comes an anc..
14 oz pkg Nasoya® Organic Tofu Extra Firm. Good source of protein. Gluten free. 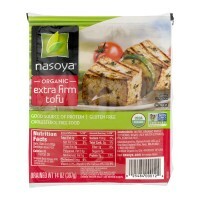 Cholest..
15.5 oz pkg Nasoya® Organic Extra Firm Tofu. New! Good source of protein. Gluten free. 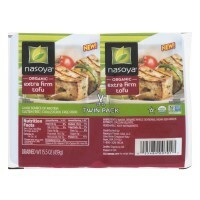 ..
14 oz pkg Nasoya® Organic Firm Tofu. Good source of protein & calcium. 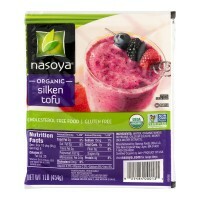 Cholesterol ..
16 oz pkg Nasoya® Organic Silken Tofu. Cholesterol free food. Gluten free. 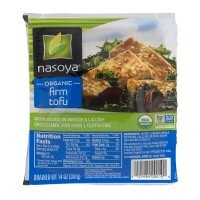 USDA organic..
16 oz pkg Nasoya® Organic Sprouted Super Firm Tofu. Made with sprouted soybeans. 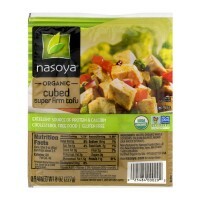 12g of..
8 oz pkg Nasoya® Organic Cubed Super Firm Tofu. 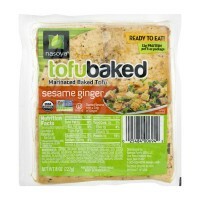 Excellent source of protein & calci..
8 oz pkg Nasoya® TofuBaked Sesame Ginger. Ready to eat! 32g Protein per 8 oz package. 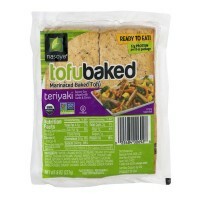 M..
8 oz pkg Nasoya® TofuBaked Teriyaki. Ready To Eat! 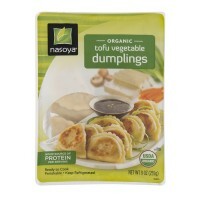 32g, Protein Per 8 oz Package. 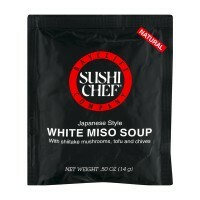 Savor..
.5 oz pkt Baycliff Company Sushi Chef® Japanese Style White Miso Soup. Natural. 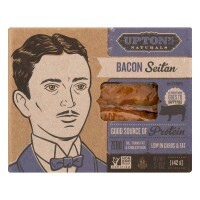 With shiita..
5 oz pkg Upton's Naturals Bacon Seitan. In strips. A protein goes to happy pigs. 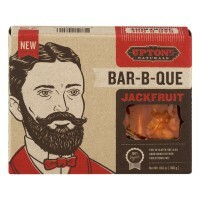 Good s..
10.6 oz pkg Upton's Naturals Bar-B-Que. New. Jackfruit. 100% vegan. 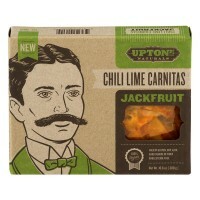 Free of gluten, soy..
10.6 oz pkg Upton's Naturals Chili Lim Carnitas. New. Jackfruit. 100% vegan. Free of gl..
8 oz pkg Upton's Naturals Chorizo Seitan. 100% Vegan. Low in carbs and fat. 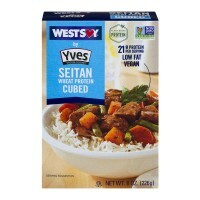 Good source..
8 oz box WestSoy® by Yves Veggie Cuisine® Seitan Wheat Protein Cubed. Plant Based Prote..